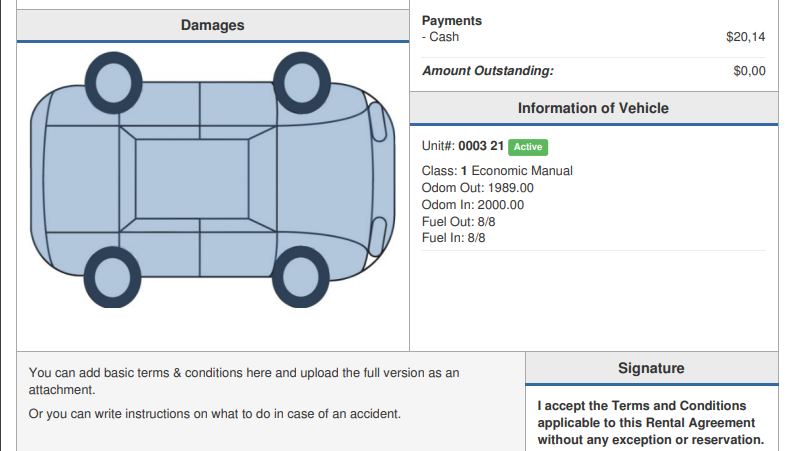 The system provides a simple damage map in which you can map the damages of a vehicle and have it shown in the rental agreement. This article is a breakdown of the map as well as how to set it up on the rental agreement. Where can I find the damage map? The map is located in two locations. They are Step 7 (Pickup) and Step 9 (Return) of the reservation process. The picture below is an example of the damage map. You can customize your map sections. To learn how to do so, follow this link here. How to show the damage map in the rental agreement? 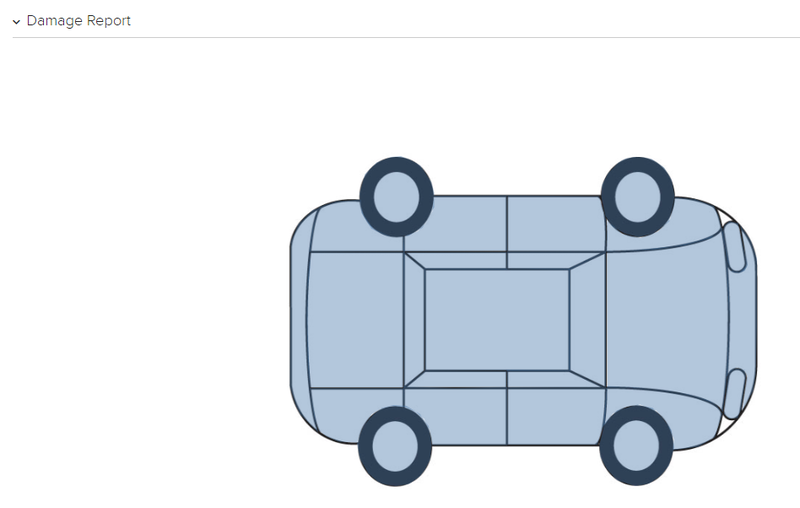 Firstly, navigate to Settings > Car Rental category > Car Rental > Rental Agreement > Defaults. There are two places in which you can show the map, in the terms and conditions box or in a box on its own. You can set it in the place shown in the picture below, highlighted in orange. This will show in the rental agreement which you can see in the picture below.